See everything in beautiful color and super clarity with this HD camera. It helps you keep a close eye on your lovely children and pets. All captured by this camera will be presented to you via fluent and stunning videos. The camera head is rotatable with 350°pan and 90°tilt. 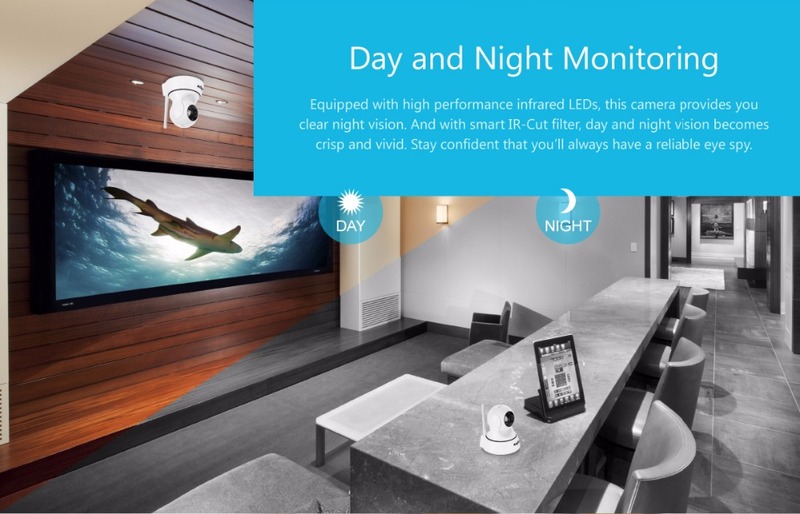 You can control it via the app and get a sweeping view of every inch of your entire house. No details will ever make them pass even if they tried. When the bad guy strikes, you stay alarmed of all unexpected movements in your house. 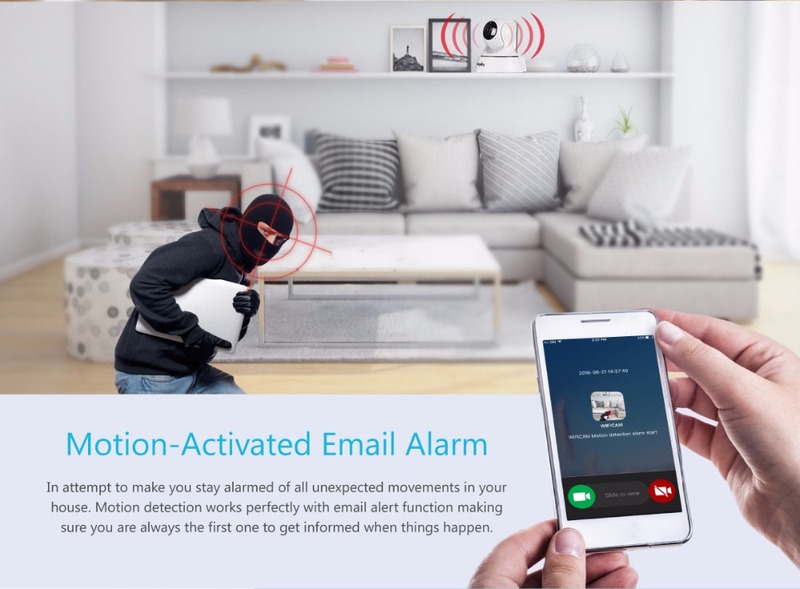 Motion detection works perfectly with email alert function making sure you are always the first one to get informed when things happen. Equipped with high-performance infrared LEDs, this camera provides you clear night vision. And with smart IR-Cut filter, day and night vision becomes crisp and vivid. Stay confident that you'll always have a reliable eye spy. The TF card slot allows you to insert a 64GB TF card, which means you can save images and videos for later viewing, meanwhile, the large memory allows you to record everything you wanted without missing one moment. 1 X Mounting Screws Bag. 1 X Type A to Micro USB.